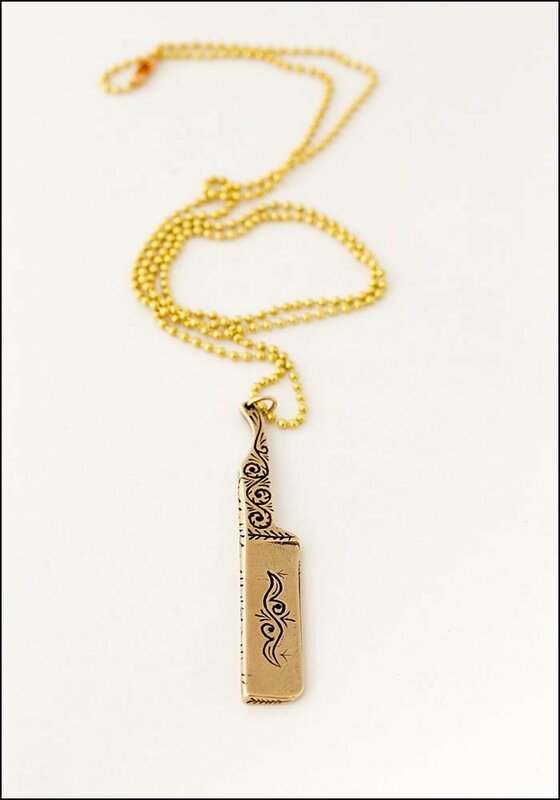 Hand-carved from wax and cast in pure bronze, this razor blade necklace is great layered with other necklaces or worn solo as a statement piece. It adds a little edge to any look (pun intended). 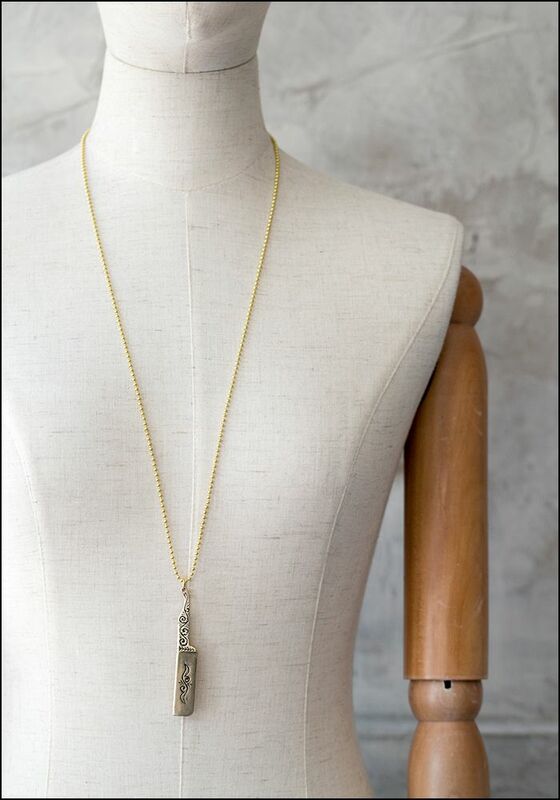 > Pendant length: 2.75". Width: .5". Chain length: 30".